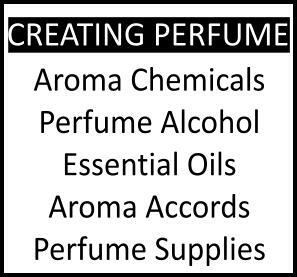 Although often spoken in the same breath when describing fragrance notes pyramids ~standard industry speak for the breakdown of effects in perfume appreciation (a not exactly accurate or realistic means of communicating a scent)~ violet and violet leaves are not interchangeable. Indeed they're quite different, from the romantic, retro powdery feel of violets to the cucumber-metallic-oily effect of violet leaves which adorn not only greener violet scents, but also many masculine colognes. Violet, has a coy profile in its symbolistic facets: The term "shy violet" is not random; the blossom naturally feels frail and trembling at touch, even though it is sturdy. Thus it traditionally stood for modesty, calmness and sleepiness, traits often associated with females in centuries past. Blue violets signified faithfulness, while white violets were of a happier disposition: they symbolized taking chances. The religious world associates violet with the Passion of Christ and indeed Easter rites in the Mediterranean basin include the use of complementary colors - violet and yellow - symbolic of Lent and the return of spring with its yellow crocuses and daffodils; to witness the two traditional flowers in the Epitaph procession are violets and lilacs, alongside the daffodils narcotizing one's nose in the open air of the evening marches of course: One blossom low-brow and serious like the Holy martyrdom; the other orgiastic like the pagan resurgence of the Dionysian spirit as expressed in the awakening of spring. A symbol of ancient Athens where it was used in scenting wine and Napoleon Bonaparte’s favorite flower (who preferred it rather than Josephine's beloved musk), violet is a complicated matter in perfumery for two reasons: First, the natural extract of viola odorata (sweet violet/English violet), although it exists, is rarely used for reasons of cost and versatility. Secondly, because there is the distinction between violet flower and violet leaf: the two have a world of difference in terms of odor profile, but that’s not always clear in fragrance descriptions. The flowers have a sweet, powdery ~and when fresh slightly spicy~ note, while the leaf is earthy, green with a cut-grass feel. 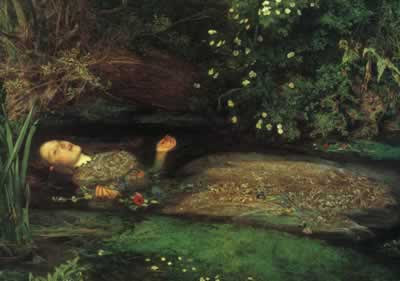 The symbolism of violets as emblematic of death at an early age is apparent in the John Everett Millais painting "The Death of Ophelia" and violets which stood for constancy or devotion were traditionally used in mourning. Most people however associate violet with Parma Violets (as reflected in Borsari's Violetta di Parma) a violet-flavoured confectionary manufactured by the Derbyshire-based company Swizzels Matlow; or alternatively, depending on cultural memories, with Violettes de Toulouse, violets preserved by a coating of egg white and crystallised sugar still made commercially at Toulouse, France. (try it in fragrance in Berdoues Violettes de Toulouse). These tender, playful associations might account for the popularity of several sweet florals in the market, especially when coupled with the intensely feminine note of roses producing an almost "makeup" vanity-table effect, such as in L'Arisan Drôle de Rose and F.Malle Lipstick Rose or alternatively allied to modern "berries" tangy notes in Guerlain's Insolence. In violets along with terpenes, a major component of the scent is a ketone compound called ionone, which temporarily desensitises the receptors in the nose; this prevents any further scent being detected from the flower. (This is why often people complain "I can't smell a thing! ", it's not necessarily anosmia, but too much ionones!!) Ionones were first isolated from the Parma violet by Tiemann and Kruger in 1893. Violets naturally include irisone beta, which gives them part of their olfactory profile. The discovery of ionones enabled cheap and extensive production of violet scents, cataclysming the market with inexpensive violet colognes which became au courant in the first throes of the 20th century. The ionones palette ranges from the scent of fresh blossoms to mild woodsy sweet-floral tonalities, while methyl ionones possess a stronger woodsy nuance, similar to iris rhizomes, binding woody and floral notes perfectly such as in the masterful Lutens creations Féminité du Bois and Bois de Violette. Irone alpha (6-methyl alpha ionone) is a most popular ingredient among ionones in pure form due to its silvery woodiness and its hint of raspberry. Maurice Roucel was the composer of the mournful, cooly wistful Iris Silver Mist for Lutens focused on the nitrile Irival . Violet is what gives Paris by Yves Saint Laurent its romantic facet beneath the embullient rose, but also the old-world powdery allure beneath the leather in Jolie Madame. Violet Leaf absolute, on the other hand, smells herbaceous with an oily earthy nuance and naturally includes salicylates [more on which here]. Octin esters and methyl heptin carbonate are used to render the floral green violet leaf "note" with watery accents of melon and cucumber, customary in many modern masculine fragrances and the family of fougères (an aromatic group based on the accord of lavender-coumarin-oakmoss). It also gave the older version of Farhenheit its distinctive feel. If you want to get a good impression of violet leaf in a contemporary composition, smell Eau de Cartier. Several of the greener violet fragrances in the market such asVerte Violette by L’artisan or La Violette by Annick Goutal explore those aspects. The Unicorn Spell by micro-niche brand Les Nez is a peculiar case where violet leaves take on the greeness of just cut husks of harricots verts. In Dans Tes Bras by F.Malle the tone comes from Iraldeine, a base that helps recreate the freshness of violet flowers, alongside ionones and salicylates. The aromachemical α-n-methyl ionone became commercially available around 1935 in Haarmann & Reimer's Iraldeine Alpha rein and Givaudan's Raldeine A (the main constituent of Fath’s legendary Iris Gris) which Ernest Beaux ~good friends with Leon Givaudan~ is said to have included in 25% concentration in the long-lost Mademoiselle Chanel No.1 from 1942-1946 (as analysed and publicized in 2007 in Perfumer & Flavorist magazine). [Read more on the history of Chanel fragrances issued by Coco Chanel in the 1940s, such as Chanel No.11, No.55 and No.46 in this article]. A modern example of violet leaves in a feminine composition in a very contemporary context is provided by Balenciaga Paris fronted by Charlotte Gainsbourg. A good example of the co-existence of the two elements (violet notes and violet leaves) is presented in a new Marc Jacobs fragrance, Daisy Eau so Fresh. In short, violets and violet leaves alongside ionones and the other molecules used to produce these nuances, are an integral part of modern perfumery and some of the most recognizable "notes" in fragrances any perfume enthusiast should be familiar with. 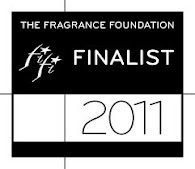 Why don't you try some of the fragrances listed and see what you feel about them? Top pic kindly provided by Anya McCoy for my use. 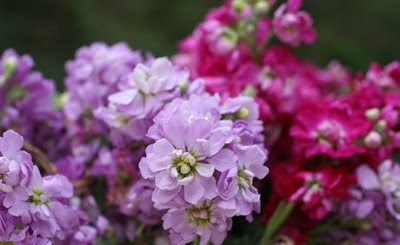 The second pic displays "stocks" (which we also call violets in Greek), Matthiola Longipetala. The third pic is Millais' Ophelie via wikimedia commons. I was perplexed about violet leaf when I first started getting interested in notes. I just wanted to thank you for your very interesting, scientific and cultural information. 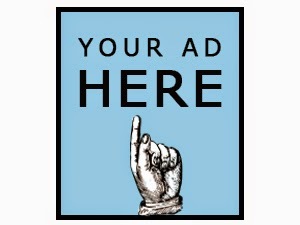 This is what sets your blog apart. How about the Unicorn Spell, is that more violet flower or leaf? thank you, glad you're enjoying! (and hope you're very very well and not too cold/grey). And then there's this, but it's out of stock at the moment. Do you have Parfait d'Amour liqueur in the UK? It has a delightful dark violet hue as well. There's also Creme de Violette. that is a great pleasure providing such an angle. I couldn't do it any other way I guess. Well, I have already linked the US review for Stephan above, so you might take a look and see if it resonates with your impression. It's a little bit different, not a clearly violet scent: I think most violets are a little powdery/makeup feeling and this one is nothing of the sort! It reminds me of fresh harricots verts, a dish I prepare often. oh shoot, try this one. (I got to the cart page with the prices for the arome, so that must be what made the link not work). I do know enough to now understand one of the elements behind the snicker I always heard when I smelled Lipstick Rose: violet. Yes. Somebody diluted a Choward's in that bottle. I know some people love it, but to me, it makes it a very expensive Coty. I mean, I can make a rum and Coke with 100 year rum and sugar (not corn syrup) cola, but it's still basically a rum and Coke. Of course, in some ways, that is a definition of luxury market...ah, consumer goods. Thanks for all the leads on violet syrups etc. ; like Rose, I had trouble with the link, but will come back to see if it is working later. Since I couldn't identify the note, I've recently done a mini-testing of a few violet fragrances (Jolie Madame, Borsari Violetta di Parma, and Penhaligon's Violetta), and found I like it! Of course, it's also an element in another classic rose-violet scent, YSL Paris. I grow these flowers under my trees and when you come to Australia you must try the violet creams by the chocolate company called Haigh's ! late replying to you but thanks!! excellent!! You know your way through violets, I see. In Paris I think they add that wonderful touch that makes the rose sing. It's very feminine and adds to the allure of the scent (to me anyway). I see what you mean. Yeah, violets because they have that powdery scent as a note are very pliable to cosmetics/powders/lipsticks etc. ah, adore those flowers!!! They're called violets too (when in mayve shades) in Greek although they're not technically. They have such a spicy, dirty scent to them. I have been to Oz (and thinking of returning!) years ago and your chocolate-violet recommendation sounds delectable!! I agree that the Goutal soliflore is very nice, greenish, not too sweet, not candy-like. Have you also tried the L'Artisan? That one is greener though. I need to sort out my samples again and re-try. The Earl Grey impression is certainly due to bergamot, but I believe we have also been conditioned to "read" of "tea" scents as translating the smell of tea, while in fact they're citrus florals. Could that be part of it too in your experience? Hi E! So interesting, as always, and timely for me -- I bit of violet leaf absolute I've recently obtained is proving to be difficult and now I think I know why -- thanks!